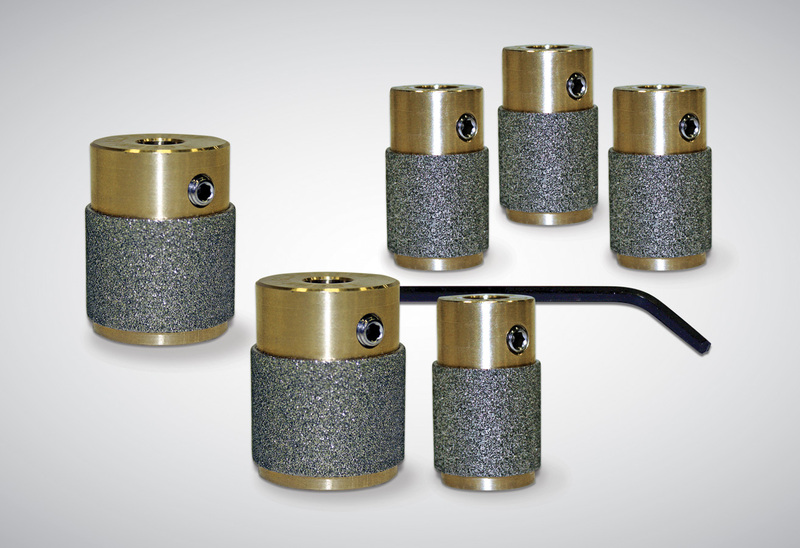 The Brilliant Bit features a high-quality diamond grit available in 1″ (25mm) and 3/4″ (19mm) diameters with Rapid, Standard, Fine and Ultra Fine varieties. The design improves stability and resists fatigue cracks caused by vibration when grinding. Like brass, will not corrode over time. Layers of ever-lasting diamonds create uniform results. The Brilliant Bit is the long lasting, affordable alternative. Loosen the screw on the Brilliant Bit by using an allen key to turn it counter clockwise. Slide the bit DOWN the shaft until approximately 1/8″ of the diamond surface is above the work surface.